Next up: a Remove icon in My Wishlist similar to the icon that was added to the All tab of My Apps last time around. A small but welcome change for quicker wishlist cleanup. Update #1: The Play Store now requests two more permissions: ACCESS_FINE_LOCATION and ACCESS_COARSE_LOCATION - both location permissions of varying accuracy. It's unclear right now what it uses them for. Update #2: A large chunk of the additional space (300KB) is taken up by a new library Google has bundled in called keyczar. I don't think there's anything interesting here, as the Wallet APK (and probably other Google apps) bundles it as well, and it's related to cryptography. Update #4: There is now an Improve these recommendations button at the top of Recommended for You (thanks for spotting this one, ZZ!). 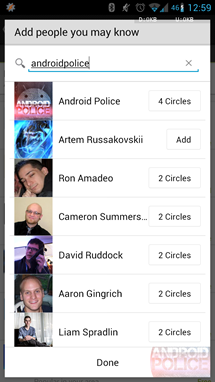 I'm not too sure exactly how it works, as clicking each name just opens up the Google Plus circles dialog, and clicking Add adds people to the Friends circle. I suppose, adding people to your Google Plus circles will help the recommendation algorithm behind the scenes. I'd like to clear this up right now though: you cannot see other people's apps - this is not a way to share app lists explicitly. Also, perhaps the new location permissions are related to finding people you may know and determining your area more accurately (some apps are recommended based on popularity in your area). 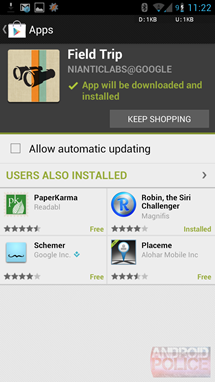 The APK is signed by Google and installs right on top of any other Play Store version. It is safe to install it if you don't wish to wait for an automatic update to be pushed to your device on a schedule you don't control. Just download it and install as you would any other APK. Instead of the remove icon, they should implement a swipe to remove, so it's more consistent with the way it works in Gmail or the new Clock app. I don't think they'll do that because for consistency then they'd have to implement it in All Apps, but that's a swipeable sideways UI, and swipe to remove would conflict with it. Since the All Apps panel is the rightmost panel, they could implement it as swiping to the right. "Swipe to delete" actually collides with Holo's swipeable panels introduced on ICS. Google would be going against their own design guidelines if they standarized it. when you download a wallpaper or theme in play store... where does it go after installing/downloading? 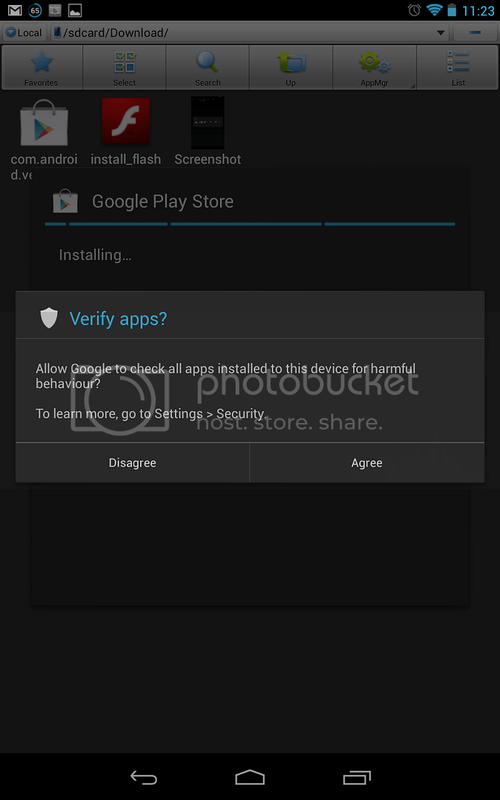 How do you download the apk file to your phone? Tap the link in the browser on your phone, as long as sideloading is enabled. Looks like they added the option of automatically translating apps' descriptions into your phone's selected language. Please help me find it. I switched my phone to another language, but I don't see it. 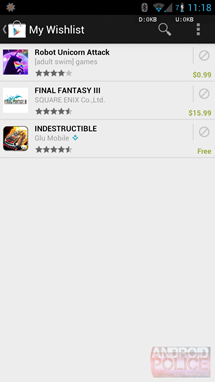 Edit: nvm, had to reload the Play Store or navigate it to another app. Laughed at the irony of "Done with this post? You might also like these" right after the article. There's a "Add people you may know" option in Recommended for You. Seems to be nothing more than a G+ phonebook from what I can tell. Heheh, but at least it's not in a separate page. Looking into the recommended section. I noticed Google Plus traces during the teardown, that must be where they're used. There is a new button to translate the description of the app into your own language. The feature works really fast and looks neat. This could be the increase in file size. Where can I find this button? Can you screenshot it plz? Doesn't seem to be constantly, i could only find it in Beautiful Clock Widget Pro, change your phone into another language and you will see a translate button on the right side of the description. It seems like they didn't intend to roll out this feature yet. I now can't see it anymore. What is that Network meter app you're using that I see in the screenshots? "D: 1KB U: 1KB" I use DUMeter but have to keep dropping the notification bar to see speed. Been looking ever since to find an overlay meter to show current speeds..
it didn't match speedtest.net for speeds. said I wasgettin:) 5.1 Mb/s when speedtest said 2 Mb/s. 5.1 seems high for Verizon 3G. is it more accurate for you? I've never had that drastic of a difference but Network Monitor should always be a little higher than SpeedTest because NMM is measuring *any* throughput on your phone (so Speedtest + any other app running in the background). uuuh no its not ! Patiently waiting for them to get rid of the old android market green, the playstore hasn't had a drastic color change in awhile. 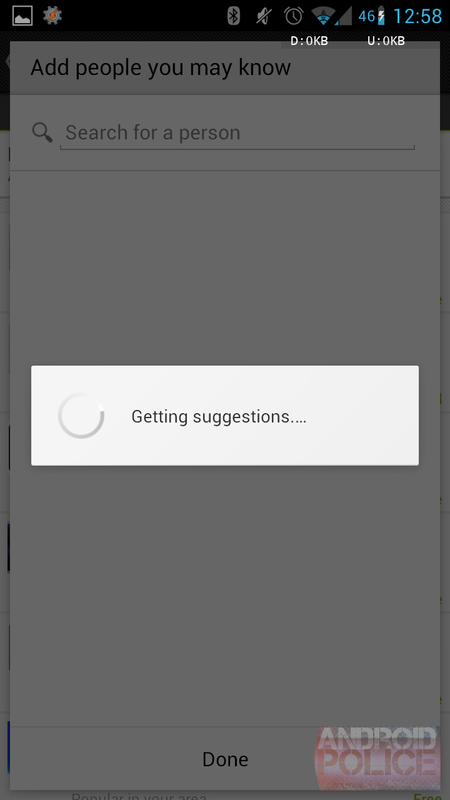 I'd like to see the ability to add an app you have previously installed (and since uninstalled) to your wish list. Once its removed from your "all apps" list there is no way to re-flag it. Did they fix this? Really not feeling this update. No thanks. "Update #1: The Play Store now requests two more permissions: ACCESS_FINE_LOCATION and ACCESS_COARSE_LOCATION - both location permissions of varying accuracy. It's unclear right now what it uses them for." Maybe related to the patent they scored on cell coverage based directions? What do directions have to do with this? So Google patented using wireless signal along with GPS? That is pretty much what it means. The patent isn’t for GPS location itself, but rather for the act of obtaining better information after the fact to pinpoint your location more closely. Google has used things like this before in the past. Like when Google Maps asks you to turn your WiFi on so it can work better. It’s much like that. Adding this patent to their library should help Google continue to improve their Maps and direction services. This without risk of being sued for it. Did Google do well with this latest patent? Let us know your thoughts. Are you sure you're commenting on the right article? The Play Store does not give directions, jake's question makes sense. 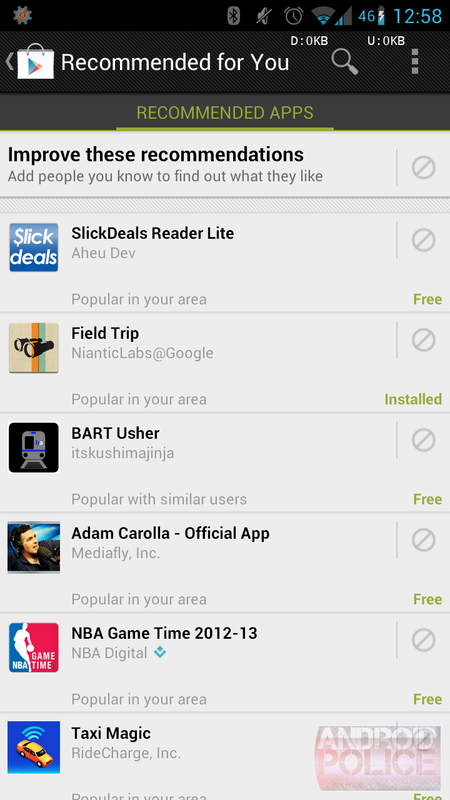 The new permissions are related to the Play Store's new feature of recommending apps based on geography. Coarse location will be for giving recommendations based on your region, like a nightlife app when you travel to Las Vegas. Fine location will be for recommending more specialized apps, like a custom tour guide app when you get close enough to The Guggenheim. 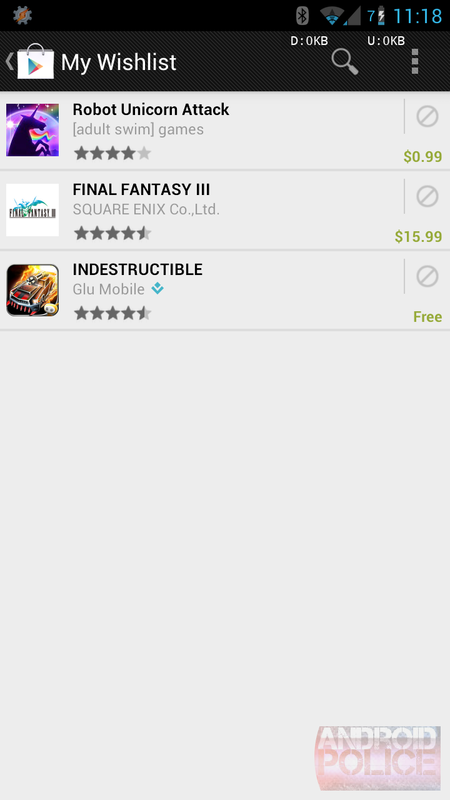 Also, when you go to the music section it has a popup telling you about the google play app. Couldn't get the apk to install on my Nexus 4, and yes I checked off "unknown sources." Guess I'll have to fiddle around with it. It said "couldn't open file" or something to that effect. Try with file manager. Solid Explorer or File Expert. I couldn't find a stock file manager so I'll have to install one of those. I tapped it from the notification pulldown and nothing happened so I went into "downloads" and that's where it said it couldn't open it. Thanks for the heads up! Solid Explorer worked perfectly, thanks dude! 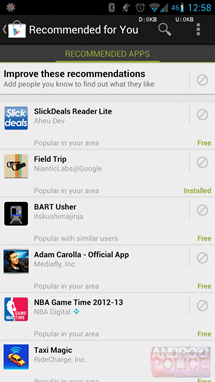 Do you know what's missing from the Play Store? The ability to hide M-rated (mature) content!!! The current filtering is absolutely broken! If I lower the maturity level to "low maturity" or "everyone", some of the apps refuse to update themselves like Google+ because they require "show all apps" to be ticked. That's just ridiculous! Plus, every time I go to the "Free apps" section, there are numerous apps that aren't suitable for children. I want to hide them but I don't want to hide apps like Titanium Backup (and other advanced user apps that are hidden on "low maturity"). 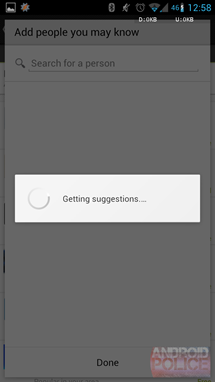 Google, sort this mess out, please! "I can't hide high maturity apps" "when I hide high maturity apps I can't update high maturity apps"
You're not making any sense. You can hide high maturity apps just fine. Google+ is listed as "High Maturity" if you check its description. You issue is with the ratings of the apps, not the fact that they are hidden. If a developer lists their app as low maturity when it's not then that is their problem. If you don't understand simple concepts, don't bother writing comments. If you understood and you still wrote this, you might as well go jump off a cliff. Your life is pointless. Speaking of confused by simple concepts, you seem surprised that by choosing to hide High Maturity apps that that's exactly what it does. Finally google wallet works in canada !!! While this may be off topic.. I am looking for a version of "Google Play Store" that I can install on the "WalMart Black Friday" Tablet: "ematic GENESISTab EGL26BL/EA502" : Android 4.0.3 device, Other than limiting me to Amazon and two ''None Working (for me in the USA)" App stores it is a low cost, nice, able to be dropped from 5' (found out by accident) and keep on working 7" Tablet. Whoops, fixed. It was very late at night, and I practically woke up a few times because the laptop slapped me in the face. The "new updates" status notification doesn't just say "Updates available" and "3 updates found". Now you get a list of which apps are updated instead. That was changed in the last version. Oh, okay. I guess I never got the previous version. I remember not downloading it, thinking I would get it automatically eventually. They Have to put More Sections, Like the IOS Store. In App Store they Have really cool Shop.. it have an Slider, and Buttons for example: Games,App of the week. by any hope will google ever add some kind of a button to google play to download all previously installed apps from the account I am logged in to the store? Total newb to Android coming from iOS (still in Limbo with Nexus4 order). Honest question, Do you have to download this new app or will it auto update eventually? I'm just used to iOS and its "update" tab in app store. The Play Store app updates on its own, but it can take a few days. welcome to Android. I too came from iOS and I'll never go back !! People listing wished features for store. Paragraph formatting for reviews being valid (when people use it). my wishlist organised or filtered into sections. (Half way there!) Translate none English into English for descriptions and reviews - plenty Russian. Make recommended for you appearance and use optional. hey i m not able to update ne of my previously installed apps, i can download new apps. it just keeps showing downloading but it never reaches to stage which actually shows the size of update and how much its done, instead it shows error after 15 mins. A little late to the game, but just noticed this. When removing multiple apps from the list, all those installed are grayed out so it can't be removed. i can't open play store, how should i rectify it? can I install this to my tablet that does not already have Google Play? any chance of getting this to work on my kids' nabi2? I installed it, but it just crashes immediately. Can anybody help me?? 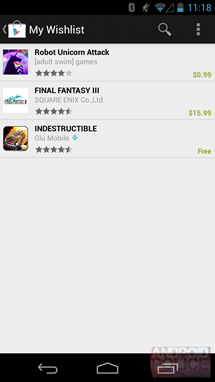 I am having trouble using Google play store. Every time I click on it, it just goes back to the home screen. 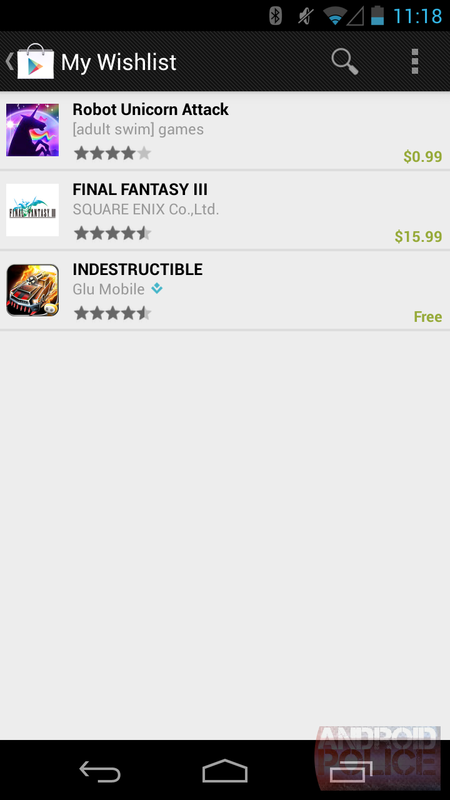 how to my android 1.5 v /google play app instal? I have installed play store 10.10 , 10.9.17 and all of these dont wok. After installation they just dont open. How do i fix it?